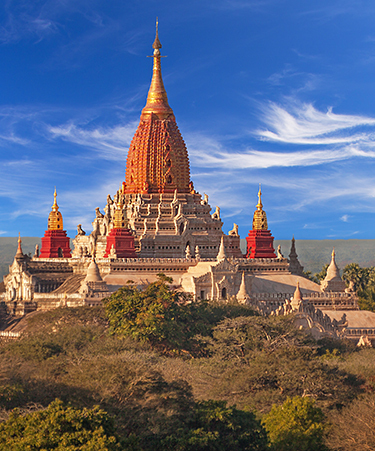 The 9-day tour of Myanmar takes you through the country’s famous cities as well as lush countryside. You will visit quaint temples, pagodas and monasteries, learn about the local culture and communities and be witness to some of the most picturesque landscapes you have ever seen in your life. 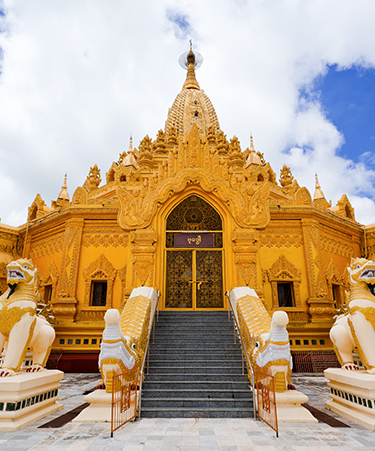 Spend the day exploring important attractions in Yangon, Myanmar’s bustling capital. 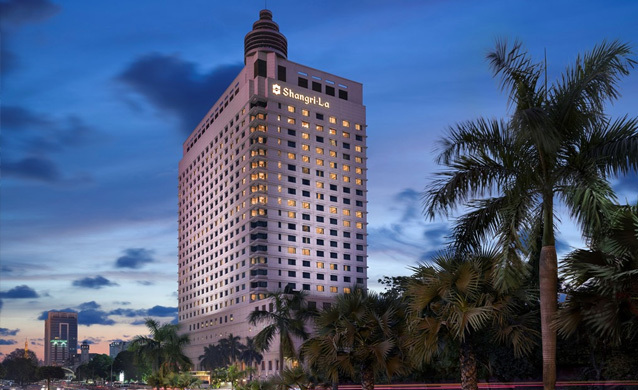 Your exploration takes through sites such as the Immanuel Baptist Church, the High Court Building, Myanmar Port Authority building, the Strand Hotel, the Customs House and the Law Court, the 2000-year old Sule Pagoda, Kyaukhtatgyi Pagoda as well as iconic Shwedagon Pagoda. 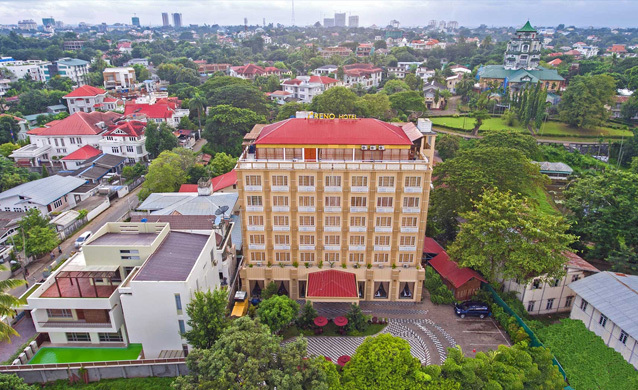 Other significant attractions you will cover include Independence Monumen, Mahabandoola Garden, the chaotic Indian and Chinese quarters, the gold shops of Shwe Bontha Street, the Moseh Yeshua Synagogue, Theingyi Zei market, Sri Kali temple as well as Royal Lake located in Kandawgyi Park. You will also stop by vibrant markets and food stalls serving sumptuous local street food. Lunch and dinner at own your expense. Overnight stay in Yangon. 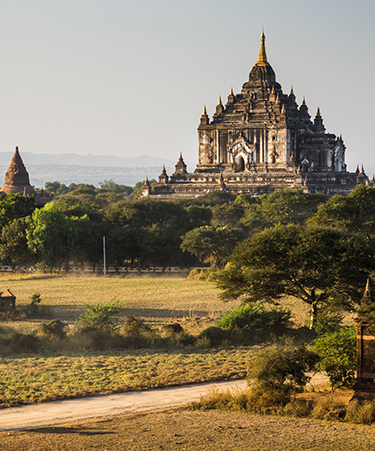 Take your local flight to Bagan, the temple town of Myanmar, from the Yangon domestic airport. Boasting massive stupas, pagodas and temples from the 11th-13th centuries, Bagan has earned itself the reputation of being one of the greatest architectural sites in Asia. Among other attractions here, you will see more than 2000 red brick temples, boasting different styles of architecture, dotted around. The exalted Buddhist Ananda Temple is worthy of a visit. 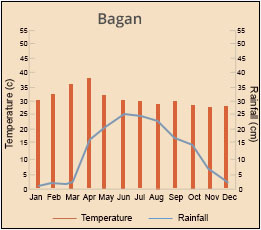 You will also be introduced to the Burmese culture and the rural Bagan life on your trip. In the afternoon, you will cruise down the Irrawaddy River and be treated to stunning views of the local Bagan villages and temples in the distance. 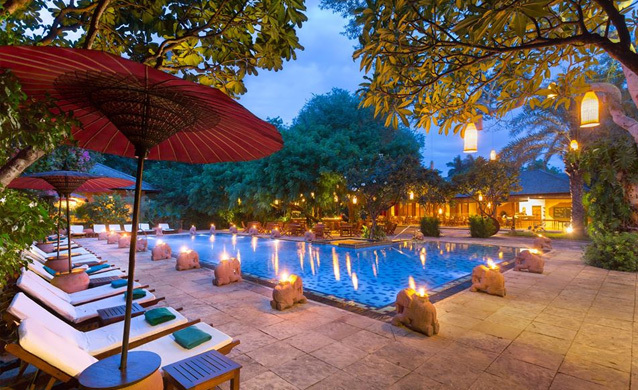 As the sun sets, you will be driven back to your local hotel in Bagan. Lunch and dinner at your own expense. Overnight stay in Bagan. Following breakfast, you will begin your guided excursion of Bagan, starting off with a visit to the lively Nyaung Oo Market, popular for the trade of fresh produce. Next, you will make a stop at the 11th-century, gold-plated Shwezigon Pagoda surrounded by smaller temples and shrines. Get off the tourist trails and visit the local village on foot in order to be acquainted with the local way of living. Spend the rest of the morning visiting lesser known attractions on your own or ask for an arranged tour. Ride a horse cart that will take you through Thatbyinnyu, the tallest temple in Bagan and the gigantic Dhammayangyi Temple. Upon sunset, return to your local hotel. Lunch and dinner at your own expense. Overnight stay in Bagan. Today, you will be transferred to the Nyaung U Airport for your flight to Mandalay, the cultural capital and the second-largest city in Myanmar. 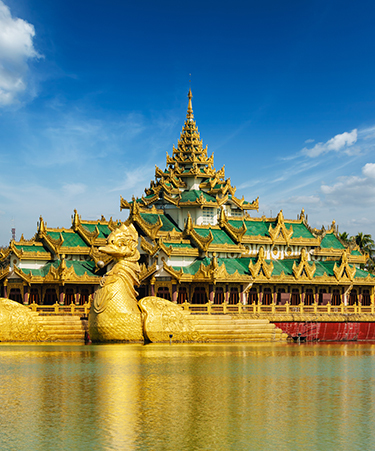 Upon arrival, you will be transferred to the Mandalay City where you will first visit the Mahamuni Pagoda, a major pilgrimage site and home to the iconic 13ft-tall seated Buddha statue. Next, you visit the Kuthodaw Pagoda, frequently dubbed as “The World’s Biggest Book” for its collection of 729 marble slabs inscribed with Buddhist teachings. Also make stops at Kyauktawgyi Pagoda, Shwenandaw Monastery, and the Golden Monastery from the Royal Palace of the 19th century. End the day by admiring the beautiful sunset over the city, the Irrawaddy River and the rural surroundings of Mandalay. Have lunch and dinner at your expense. Overnight stay in Mandalay. Spend the day exploring Amarapura, Ava and Sagaing, the ancient capitals of Mandalay. 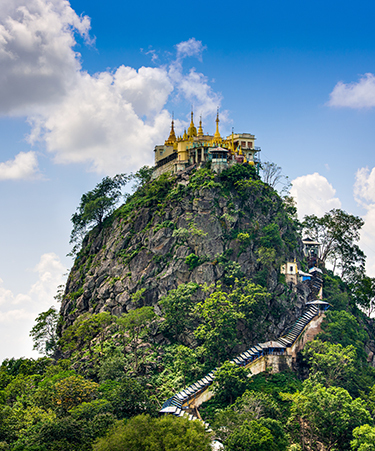 First, you visit Sagaing Hill, believed to be the spiritual hub of Myanmar and the site of over 600 ivory-coloured pagodas, monasteries and meditation shrines. Make necessary stops at Swan Oo Pon Nya Shin, U Min Thone Sae and Shwe Taung Oo Maw pagodas as well as the local market and pottery village. Next, make a move towards Ava on a ferry. Following your journey on the river, take a traditional horse and carriage for visiting the Bagaya Monastery and the Nanmyint Watch Tower, popular as the ‘the leaning tower of Ava’. Your last stop for today will be Amarapura, the ‘City of Immortality’. Once here, visit the famed Mahagandayon monastery, U Bein Bridge on the Taungthaman Lake, the longest teakwood bridge in the world as well as a silk weaving workshop as weaving is the main occupation for the people of Mandalay. Have lunch and dinner at your expense. 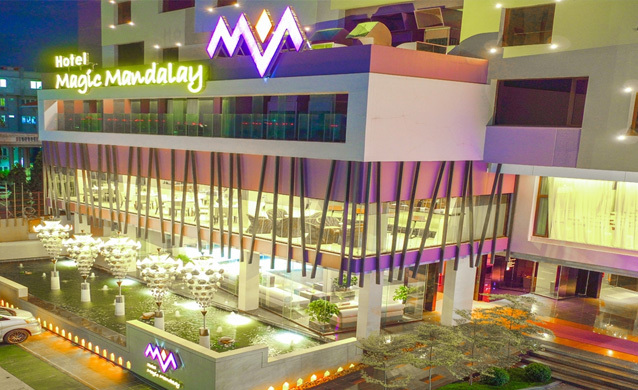 Overnight stay in Mandalay. 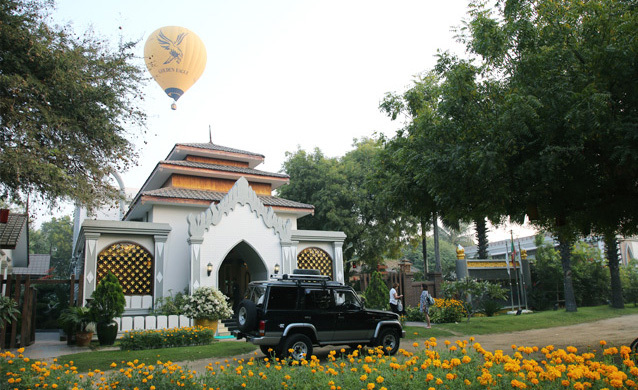 Transfer to the Mandalay airport for your flight to Heho, the primary air getaway to the Inle Lake. On your scenic one-hour drive, cross Nyaung Shwe, the getaway to the Inle Lake and popular for the production of traditional Shan paper and unique handcrafted umbrellas. 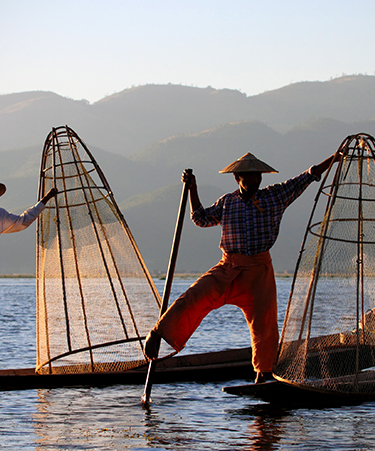 Next, begin your private motorboat ride on the Lake Inle and prepare yourself to be astounded by the beautiful sights around you. 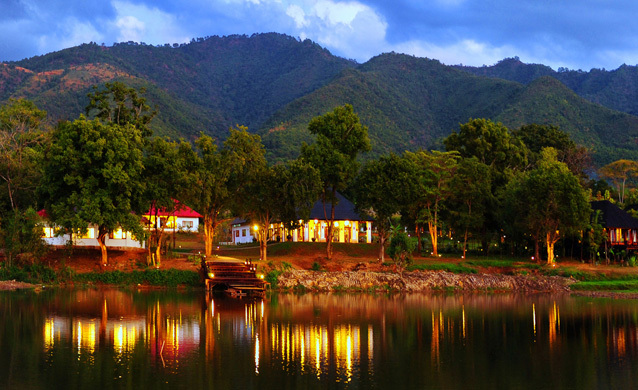 The tranquil waters, floating vegetation, fishing canoes, and villages built on stilts against the perfect backdrop of mountains will pass by. 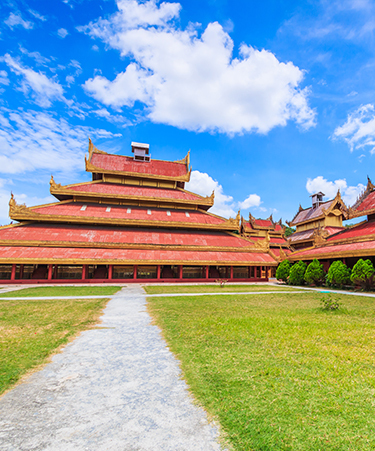 You will also visit the Nga Hpe Chaung Monastery and Phaung Daw Oo Pagoda. 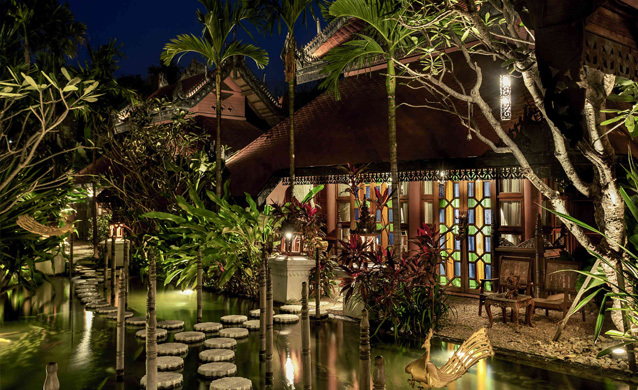 You can pick a souvenir from amongst the woven lotus silk and traditional crafts items produced by locals. 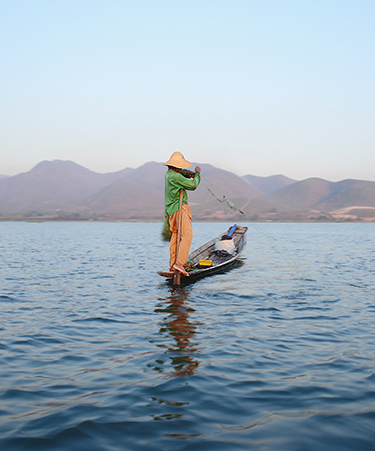 Following breakfast, visit the Inle Lake’s morning moving market that rotates around the villages surrounding the lake all five days of the week and where the locals come to trade their wares. Next, take an hour-long boat ride down a small canal to reach the Pa-Oh village of Indein on the western shores of the lake. After a leisurely stroll around the village, ascend to the top of a hill. After arriving at the summit, an iconic Buddha image enshrined among hundreds of stupa ruins will greet you. The view from the top will be splendid as well. On your way back, culminate the day by visiting the Inthar Heritage House and learning about the history and culture of lake's indigenous people. Have lunch and dinner at your expense. 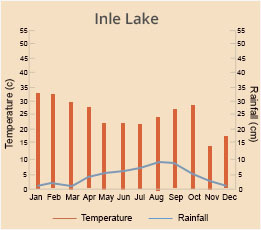 Overnight stay at Inle Lake. 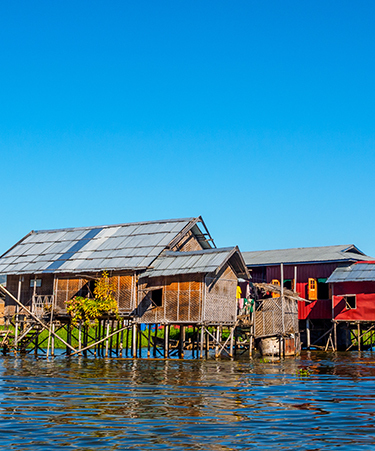 Enjoy a boat ride on the Inle Lake from your hotel to Nyaung Shwe from where you’ll be transferred to the Heho Airport for your domestic flight to Yangon. From Yangon, you will be boarding your onward flight to the UK. It situates at the edge of archaeological monument zone and near the Law Ka Nan Dar Pagoda and surround by other Pagodas. 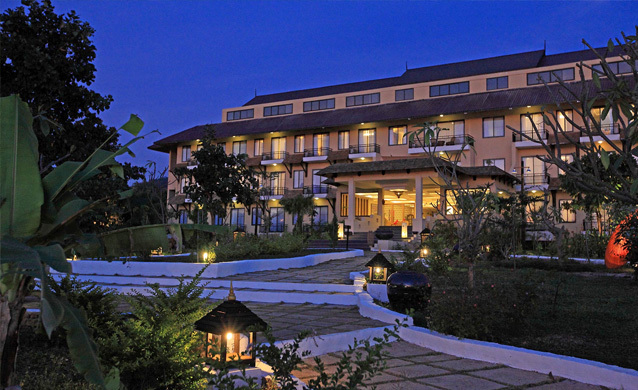 Hotel is about 8km away from Nyaung Oo Airport. 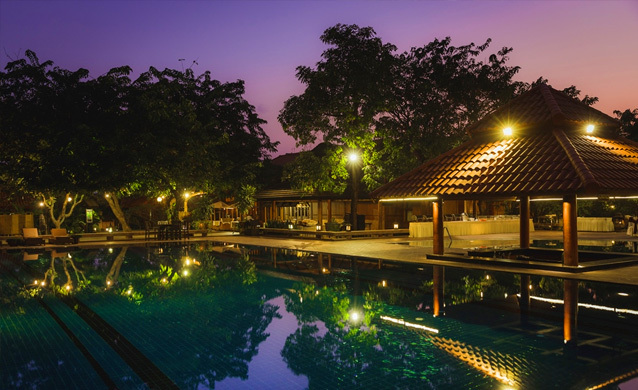 The Aureum Palace Hotel is situated in one of Myanmar’s most ancient kingdoms, abundant with old pagodas and crumbling ruins. 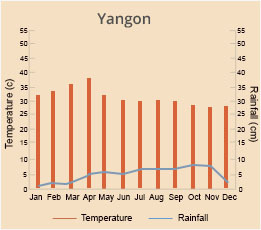 The nearest airport is Nyaung U Airport, situated about 7 kilometer away. Hotel Magic Mandalay conveniently located in Mandalay. 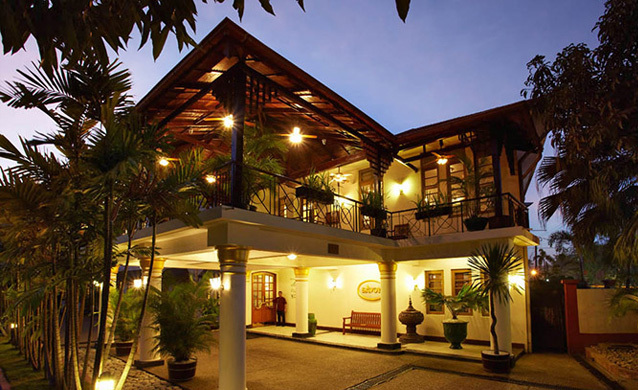 Architect carefully designed to your comfort and memorable stay. 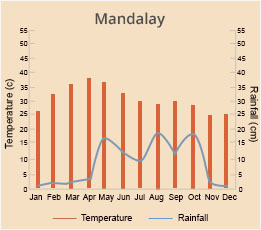 Mandalay International Airport is 30.6 kilometer away from the hotel. 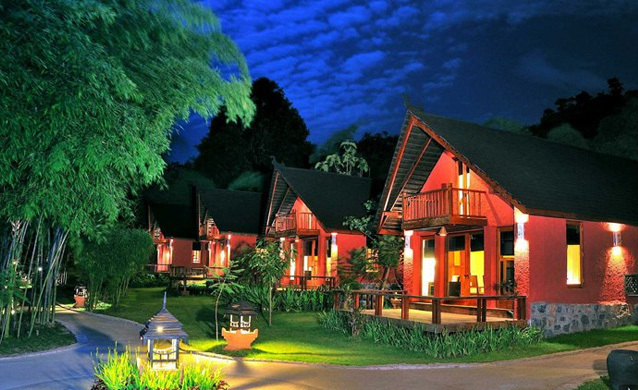 Accommodation at mentioned hotels or similar. Transfers as mentioned by air-conditioned private vehicle. Activities and sightseeing as mentioned in the program. Private motorized boat on Inle Lake. Drinking water (2 bottles per day) and refreshing towels on touring days. Entrance fees for visits mentioned in the program . Services and meals if not mentioned in itinerary . All drinks, including water, soft drink and alcohol on all included or optional excursion. Supplements for Christmas and New Year period.